It all started when Heather received an email from GroupOn for $54 hotel night in Atlanta. We have been to Atlanta once before and the kids enjoyed it, so we thought this would be a nice chance to do a family mini-vacation. The trip was to be two days, three attractions and a hope of some great family fun. Travel hint: When you get a deal on GroupOn or other electronic media, you should call the Hotel directly. They should price match and you will get advantages such as Marriott points in our case. The only problem with the City pass is that kids stop being kids at 12 – so we had to buy an Adult pass for our 14 year old and that all of the passes have to be used within nine days of the first ticket being used. Otherwise, it does save a lot of money if you were to go to each attraction and pay individually. 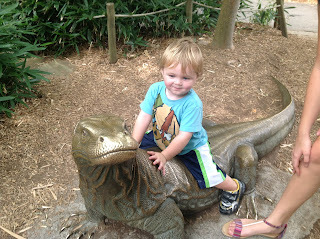 Our first stop in Atlanta was the Zoo. Getting there was a nightmare. Whoever designed the highway system in downtown Atlanta should be made to drive it daily as punishment. The Zoo is a nice mid-ranged attraction. The animals are obviously well taken care of and seem to be quite content. The Zoo however is adjacent to downtown and thus is not the largest one you have been too most likely – though for some reason it has the most snack stands per square foot than I have ever seen at an attraction. The kids section at the Zoo is especially well done. 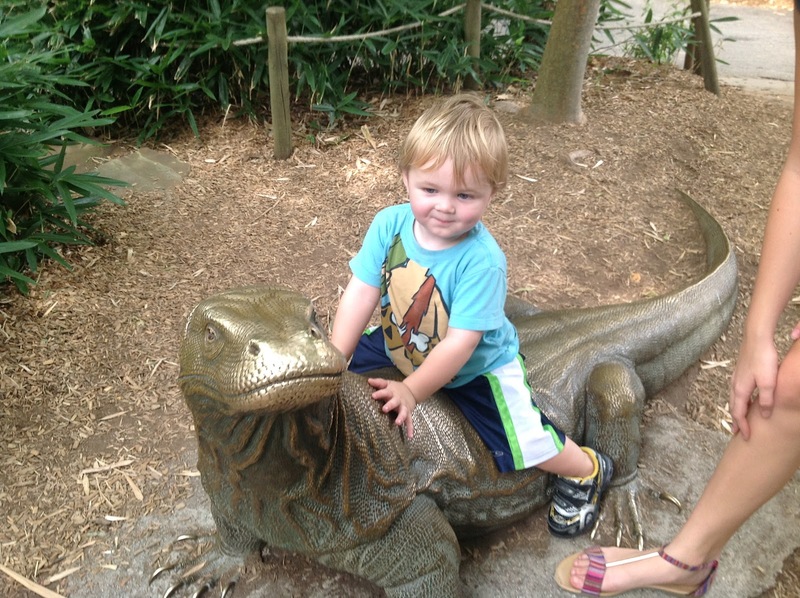 Overall, the Zoo is a nice three hour stop for a family. The next day started with some serious rain and thus a trip to a nice indoor attraction the Georgia Aquarium. The Georgia Aquarium is one of the largest in the world and has some spectacular exhibits. One important thing to note is that the CityPASS ticket includes a Deepo Pass with Expedited Entry, Deepo’s 4-D Theater Admission, AT&T Dolphin Tales Show (based on availability) and admission to changing exhibits. This is a significant cost and time savings than purchasing at the Aquarium directly. Two pet peeves about the Aquarium: 1) Is someone really going to blow up the Aquarium. One has to be searched and walked through a metal detector to get in. Seriously, searching a five year old child with Autism? ; 2) The AT&T Dolphin Tales Show has no educational value whatsoever. The show is completely about entertainment which I feel goes against the very core of what the Aquarium should stand for. If the animals are going to be held in captivity at least uses their presence to educate and enhance appreciation for the creatures and not for entertainment for the masses. Further, the show was complete cheese from an entertainment perspective. It was painful to sit through. Otherwise, I love the Georgia Aquarium. I look forward to the day when my kids are older and will spend more time at each exhibit. I could spend hours taking pictures and admiring the beauty of the creatures contained within. Further, the staff and volunteers are very knowledgeable about the animals and quite willing to answer any questions that the kids or adults had about the animals. 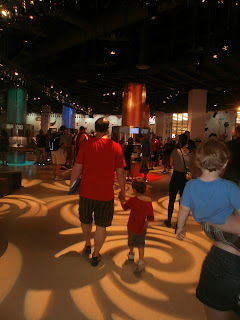 Our last stop on our mini-vacation was the World of Coca Cola. Being a person who lives on Coke, The tour of the World of Coca Cola is right down my ally. The tour is a lot of fun and is very informative. I loved seeing the artifacts and old marketing materials. It is a reflection of Americana over the past 100 years. A few really fun things about the World: 1) The Polar Bear is awesome. I do not know how they created the costume but seeing it was almost worth the price of admission alone; 2) The vault is very interesting; and 3) The tasting room is particularly fun. I was even tempted to move to China just to be able to access the Iced Drink I had from there. It was wow good thing. Overall Atlanta was a good mini-vacation location. A few hints though. Really plan your arrival time to Atlanta around traffic patterns. It can be brutal! Get to the Aquarium early. The place gets insanely busy (especially if it is rainy outside) and skip the Dolphin show. The World of Coca cola is great but it is mostly designed for adults or older children. Don't expect young children to really get a lot out of it. Finally, there are some great deals in Atlanta is you look for them. The city for a large one is fairly affordable. Just take the time to look around for deals. Post Script: I really wanted to go to a Braves game and saw their family package but it was awkward to purchase. Also, a 4:00 PM Saturday game listed as a premium game brought the price out of being affordable to not worth it.